Os dejo con el programa de este evento,imprescindible para conocer el futuro de la medicina en general. Los iconos son de las entidades colaboradoras. We are in full-blown Spring Fling countdown mode here at Health 2.0, with just about 2 weeks to go till our joint event with The Center for Information Therapy (Ix®), April 22-23, 2009 in Boston, MA, at the Park Plaza Hotel. We can't think of a more dynamic time in healthcare, with so much public discussion on reform and leading Health 2.0 companies being integrated into the traditional healthcare system with strong results to report. Not to mention new companies entering the scene at a rapid clip. Our line-up reflects all the excitement and energy of a Health 2.0 event, but this time, more than ever, we'll delve right into the heart of emerging controversies, giving you both sides of the coin, and in some cases multiple perspectives and a chance to voice your own opinions. Don't miss this historic format and a stellar line up of brand spanking new companies and updates from familiar favorites. Click here to see the latest agenda. Here's just a taste of what you can expect to see! Health 2.0 & Ix: Tensions & Synergies: There are great similarities between the Health 2.0 and the Information Therapy movements. But there are also tensions, and this opening session will ask whether Health 2.0 & Ix are two sides of the same coin. Matthew Holt and Don Kemper will face off with commentary from Alan Greene (drgreene.com & A.D.A.M. ), Gilles Frydman (ACOR), Ted Eytan (Kaiser Permanente) & Amy Tenderich (DiabetesMine). How do you build Health 2.0 into the delivery system? : We'll have four top leaders from different segments of the delivery system present their contrasting views of what Building Health 2.0 into the Delivery System means. What is the future role of the doctor? 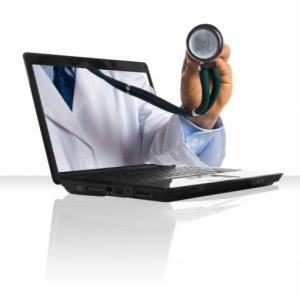 : Technology is constantly changing the physician to patient relationship. Does this mean that physicians are captains of a wider care team, or are doctors finding that their roles in patient care are increasingly marginalized? Navigating the health care system: Due to the role of technology in how patients navigate their health care experience, some are seeing tension between inforamtion democratization and information overdose. Knowledge creation: Experts vs User-Generated Care : Two leaders with extremely strong view points will debate whether and if user-generated content, crowdsourcing and other ways of surfacing content are appropriate for creating and verifying health information. What are the incentives for Health 2.0 and Ix? : Susan Dentzer, Editor, Health Affairs, will lead a panel debating the relationship between health reform, new payment incentives and who (if anyone) will pay for Health 2.0 or Ix. DEMOS: A.D.A.M., WeGo Health, UpToDate, Myca/Hello Health, CureTogether, MedEncentive, Health Hero Network, Healthwise, Mayo Clinic in partnership with Microsoft, Sensei, Prochange, Healthfinder.gov, Ask Dr. Wiki., Google Health, Group Health, bWell, HealthMedia, Healia, ConnectedHealth & Healthline. We are adding more demos everyday, so please check back for updates! LAUNCH! : Think you've seen the latest in mobile apps, genomics and innovative practice design? We have a handful of very exciting new companies who will make you think again. They'll be presenting technologies never seen before. Get a sneak preview at one of the most popular sessions at Health 2.0. The Journey to Health 2.0 Meets Ix: A visual look at the historical events that have contributed to the Health 2.0 and Information Therapy movements, and how this conference became a reality. The Role of the 2.0 Doctor: A glimpse of the future generation of doctors in this in depth look at 3 medical students who are already changing the face of medicine. Healthcare Message to the New Administration: A user submission-driven discussion of the problems in the American healthcare system, as well as potential solutions. "We need to take care of our people before an illness presents"
"Giving physicans access to electronic health records alone is like giving people cars with no roads"
"Don't look into the light of EMR's to save healthcare"
"Allow physicans to embrace their profession again"
"We have to build a better patient"
To see who had these brilliant ideas check out H20TV.com and get your own 2 minute rant up there now! Attendees will be able to use Health 2.0 Network to arrange business meetings at the conference, message their contacts, and stay in touch via email and phone. Coffee breaks & networking opportunities in the buzzing exhibit hall. Exhibiting and Sponsorship at Health 2.0: We're still accepting Platinum, Silver/Exhibit, & panel introduction sponsorships, but hurry because slots are going fast in the final weeks and the deadline for submission is this Tuesday, April 7! Please use this sponsor page to let us know which package you are interested in, before they are all gone. Press & Media at Health 2.0: We have already garnered interest and expect coverage from: CNN, ABC, The Wall Street Journal & The Doctor's Channel. Health 2.0 has also always had great coverage in the trade and business press, online blogs and in videos from our friends at icyou. If you are interested in joining the other high caliber members of the press & media, please register on our press application form. Ix is a registered trademark of the Center for Information Therapy, Inc. See http://www.ixcenter.org/. Esta es una cita imprescindible para entender el futuro de la medicina en general. ¿Cual es el papel de las tecnologías de a información y la comunicación en salud? Medicina 2.0, Salud 2.0. ¿Te suenan a chino? ¿Es todo esto demasiado futurista? La reunión Health 2.0 será el 22 al 23 de abril en Boston, este año y no en un futuro remoto. Lo que se debate hoy es el presente mañana. No os perdaís los blogs del evento para saber qué se discute, cómo ven el futuro los que dirigen estas cosas y las compañías involucradas. Los teneís aquí: Health 2.0. El rol del doctor 2.0, un guiño de la futura generación de médicos en un análisis profundo de la visión de tres estudiantes de medicina que ya están cambiando la cara de la medicina. ¿Cómo? A través de internet, ya que son los creadores de algunas de las herramientas web con más auge. Cuando pienso que aquí en España durante una reunión de la Organización Médica Colegial el presidente de esta organización mandó callar cortando el discurso (durante su tiempo asignado y acudicendo con invitación) del representante de médicos residentes me entristezco. No habrá que preocuparse de que pueda haber un asalto generacional en campos como ese o que las cosas cambien de una forma lógica: donde la voz de la experiencia guíe el impetu de la juventud sin cortar de raíz la frescura ni limitar su crecimiento Pienso que muchos médicos jóvenes nos haremos nuestro propio hueco en internet, y reclamo más atención por parte de las organizaciones médicas. Hay cada vez más apoyos para iniciativas de gente joven, y no tan joven en el tema de medicina e internet, no podemos dejar que pasen por nuestro lado sin prestarles atención. La Sociedad Española de Informática de la Salud (SEIS) www.seis.es/ tiene cada vez más protagonismo en el panorama de la sanidad también. No se puede esperar demasiado y perder la oportunidad. Publicado por Unknown en 4/07/2009 07:50:00 p. m.